Happy (late) Easter to you all! 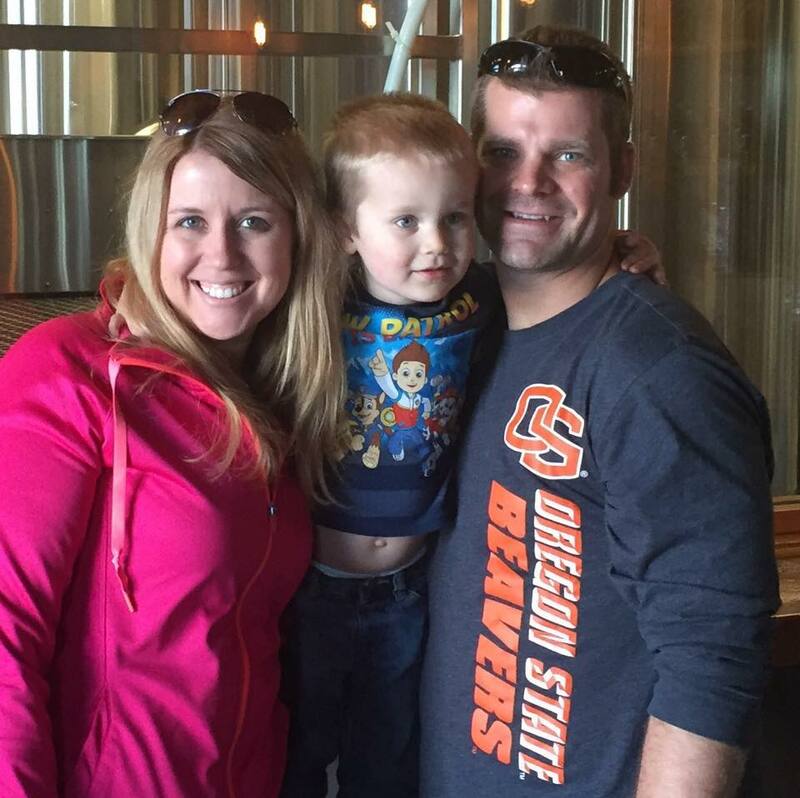 This year my brother came to visit us from Spokane–so we took him to the zoo, and then promptly rewarded him with a trip to the Hub and then to Pacific Brewing for some cold beverages!! 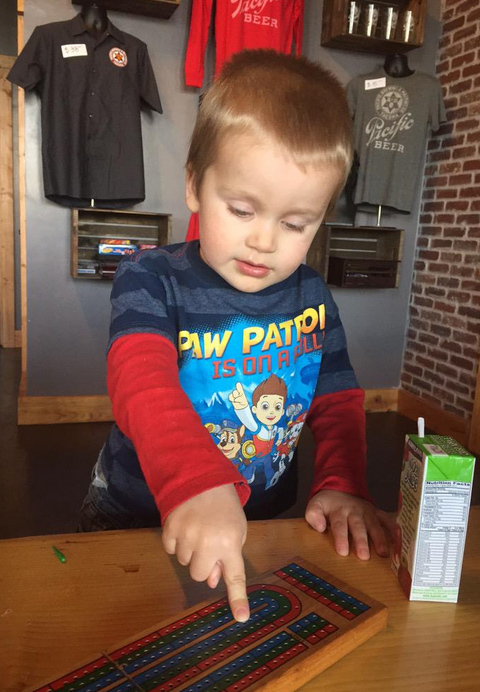 This great place is located off Pacific in downtown Tacoma and has some of my favorite brewery items: long tables, glass where you can see the tanks, brick, games…and it’s kid friendly. Right when we walked in they offered my son a free apple juice box. This is such a great idea, and it’s nice to see that more places starting to do this. Along with the free juice for kids they also offer lots of different board games to keep them happy while you are sampling some of their great brews. Other kid friendly amenities included a changing table in the bathroom…which you don’t see a lot, so as a mom I thought it was pretty cool (yes, when you have a half pint with you, you tend to notice these things!). They don’t have food, but sometimes have a food truck (and you can check their twitter for that). They also allow you to bring food in from one of the local restaurants (or your backpack if you are a parent carrying around crackers:)). We had a little trouble finding it at first, so check out their website www.pacificbrewingandmalting.com for the best directions AND parking info. The beer here was REALLY good though, so it’s worth finding this gem in Tacoma.